Just when you thought their situation could not get any stranger, IV of Spades and former member Unique Salonga dropped their new material on the same freakin' day. 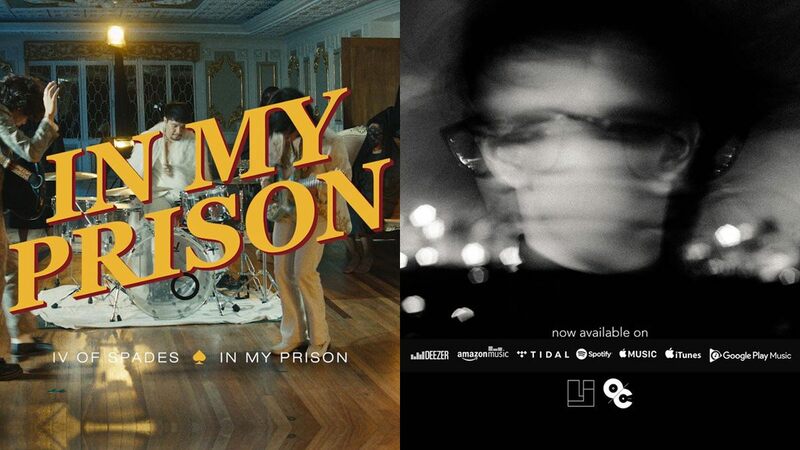 Two months after their frontman left to pursue "personal endeavors," the three-piece band of Zild Benitez (bass), Blaster Silonga (guitar), and Badjao de Castro (drums) unveiled the music video for their latest single titled "In My Prison." Despite Unique's departure, IVoS seems to have kept its disco-influenced sound and look, with Zild taking over vocals. Shortly after, Unique also launched his first solo track, "Midnight Sky," which has been on YouTube for quite some time now. The MV of the song, which was self-produced by Unique with their ex-manager Kean Cipriano, is a stark contrast to his old band's new release, in terms of overall mood. If the instrumentals and aesthetics of "In My Prison" are the very essence of IV of Spades, then "Midnight Sky" is as stripped-down as it gets. After watching both videos, it kind of made sense why the meteoric quartet had to part ways. Although one doesn't have to be an IVoS stan to notice how almost simultaneous the uploads were—netizens were quick to point out the curious timing. As for diehards, they simply lost it.